Too bad not a lot happens in this issue. In the last, we were treated to a nice opening action scene that splashed the Green Lantern powers across the pages. Emerald Warriors #2 doesn’t feature anything like that. 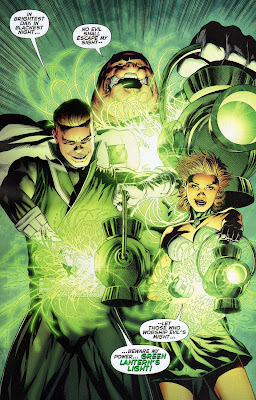 Green Lantern fan favorite Kilowog and Arisa join with Guy Gardner as he ventures out to the unexplored sectors of space. What Guy’s plans may be is still just as big a mystery as they were in the last issue—so we don’t get any more info in that regard. 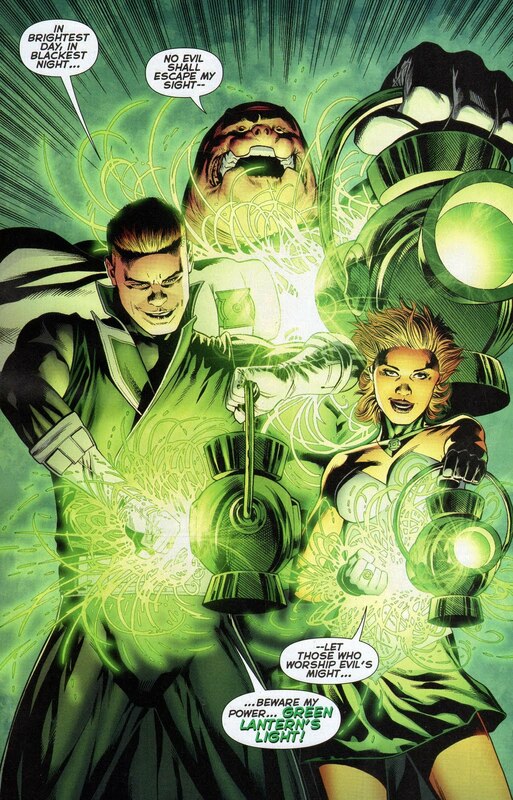 Adding Lanterns Arisa and Kilowog to the party may bring some interesting tidbits to Emerald Warriors. As both Lanterns are dealing with internal turmoil. 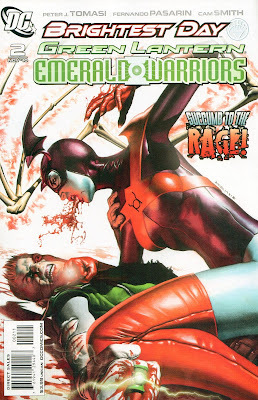 Arisa blames herself for Lantern Sodam Yat’s apparent death. And Kilowog is feeling the sting from seeing so many of the Lanterns he personally trained die in front of his eyes. Sometimes you need to trudge through some trades just to get to the meat of a story. That’s really what this issue is, just filler. We do learn more about what’s up with Guy Gardner. Not his plans—but what he’s dealing with physically. Apparently the Red Lantern Ring he wore briefly during the Blackest Night story arc has left some residual effects. Which can’t be cured without the aid of the Blue Lanterns. While Emerald Warriors #2 may not be the strongest showing, it’s still an essential read to understand what Guy Gardner’s goals are. It’s a speed bump of a comic, but it has to be driven over.